Less expensive alternative to Germanium or InGaAs systems.Allows spectral measurements between 900nm and 1700nm.USB 2.0 interface with 16-bit dynamic range available.Support up to 8 multi-channel configuration.Spectral Resolution 1.0 to 10nm.Linear Array Detector pixel 2048.Slit 5, 10, 25, 50, 100, 200 or 400µm.Fiber Coupler SMA905 or FC standard. Our company has gained name and fame in presenting UV-Vis-NIR Spectrometer. Bharat Rohan Airborne Innovations is an authorised distributor of Bayspec in India. FOSS announces the NIRS™ DS2500 feed analyser, a purpose-built near infrared (NIR) analysis instrument combining unique performance across a broad wavelength with full compatibility to FOSS NIR solutions. Routine analysis and application development in the food, chemical and agriculture industry. High performance laboratory instrument or an at-line process control tool for the multi component analysis of solids, powder - pasteous and liquid products. - Scanning dual beam nir spectrometer. - For powers , solids pasteous products and liquids. 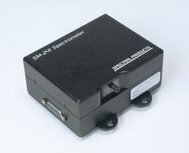 The Ventana VIS-NIR is a high sensitivity spectrometer for low signal VIS-NIR measurements (430-1100 nm). 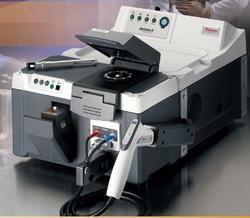 It provides exceptional throughput and sensitivity for fluorescence measurements. Ventana VIS-NIR is a cost-effective alternative to integrated benchtop systems.